We often see these people enjoying their golden years with ample money for vacations and fancy dinners. We assume that that’s how things are going to end up. However, that kind of blind optimism can land you into trouble, especially if it’s not backed up by a solid retirement plan. For a lot of people, retirement planning is just restricted to putting a small fund away every month in a pension fund. Unless it’s a significant sum managed by a highly competent fund manager, there is a good chance of falling short of the estimated goal. 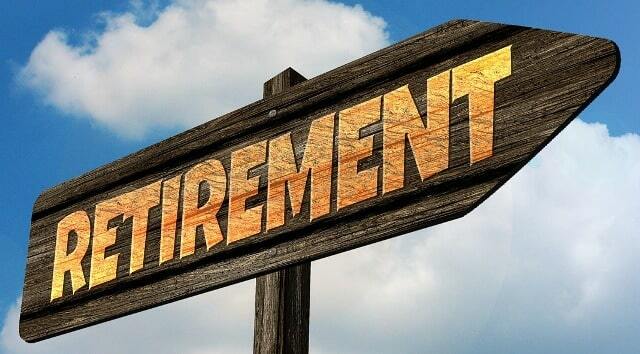 In this post, we will help you avoid the common pitfalls of retirement planning and achieve your retirement financial goals. The following are 5 common retirement planning mistakes that you should avoid. You probably have heard this one already. Investment experts and advertisements often talk about how you need more money than you think in order to lead a comfortable life after retirement. This is not just a scare tactic to encourage you to save more, it actually makes sense if you consider inflation. Things are going to get more expensive as the value of money decreases in the future. In other words, you would need much more than you need right now to live a comfortable life in the future. It’s not entirely uncommon to see people putting all their money in a single stock. That’s a risky move, to say the least. Even if a company has great promise, who knows what’s going to happen in the future. The key is to diversify your portfolio by investing in several well-researched stock options as well as non-equity investment schemes. This will protect your overall investment and ensure you get a guaranteed return. When you start putting money away, it’s best to consider that as an expense that you cannot retrieve for anything other than your retirement. Don’t jeopardize your financial future by borrowing from your retirement fund. To prevent that from happening, build a buffer savings fund to manage emergencies, so your retirement fund remains untouched. You cannot start planning for retirement a few years before your retirement date. In fact, starting your investments 10 years before the retirement date is considered too late by most experts. The later you start the more you have to invest per month to compensate for the lost time. You also don’t get to reap the power of compounding interest if you have fewer years to work with. A sudden medical expense can force you to tap into your retirement fund and leave you with nothing. This is why it’s important to buy medical insurance that has fewer exclusions and has the right coverage amount to pay for major treatments in leading hospitals. Once your medical expense is covered, the chances of you withdrawing from your retirement investments reduce considerably. I hope you enjoyed this blog post about the top retirement planning mistakes that can leave you low on funds before retiring. Interested in more articles about how to save more for retirement?